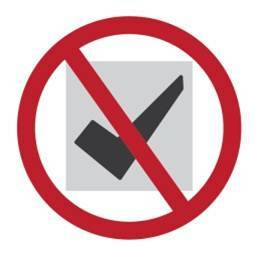 As you may know, this policy is a cornerstone of the “ban the box” movement that has led a growing number of states and cities to adopt public policies with the same purpose: to prevent employers from using criminal background checks to disqualify applicants before the first interview. We want to point out that this policy is also consistent with the “individualized assessment” promoted in the April 2012 EEOC Enforcement Guidance on Consideration of Arrest and Convictions Records in Employment Decisions Under title VII Of the Civil Rights Act of 1964 to insure that criminal background checks are both job-related and consistent with business necessity. Briefly, Target has been a “target” of employee advocates and the NAACP for over a year regarding its employment practices, culminating in the filing of formal complaints with the EEOC earlier this year. We wrote a post about Target’s criminal background check policy and the highly visible campaign against it in March. At that time, the company defended its background check policy by saying it did not automatically exclude applicants because of a prior conviction, but it obviously did not meet the stricter test found in ban the box legislation. Despite some setbacks in court decisions (see the decision in the Freeman and Kaplan cases, which chastised the EEOC for its implementation of its guidelines), Target’s decision might indicate EEOC guidelines are gaining traction. Employers are faced with a determined push by policymakers to make it easier for people with criminal records to find employment. The social objectives in this push seem as important as the nuanced legal issues regarding disparate impact discrimination. Whether or not asking about criminal records on job applications is strictly legal is almost beside the point. Highly visible companies like Target are susceptible to public campaigns run against them when there is evidence (even anecdotal) that they bar the previously-convicted from bettering themselves. You can easily understand why the public pressure would lead on organization that arguably serves the general public to adopt a ban the box perspective. In the end, we would like to call your attention to the EEOC best practices list we published in our first article about the Target saga (go to the bottom of the page). 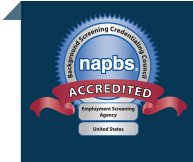 Employers can still tailor effective background screening practices that are in compliance. Maybe this is just good public relations, as well as a decent defense against the EEOC and would-be private litigants.